Citicorp Center in San Francisco is at One Sansome Street – just across from the former Crown Zellerbach building. 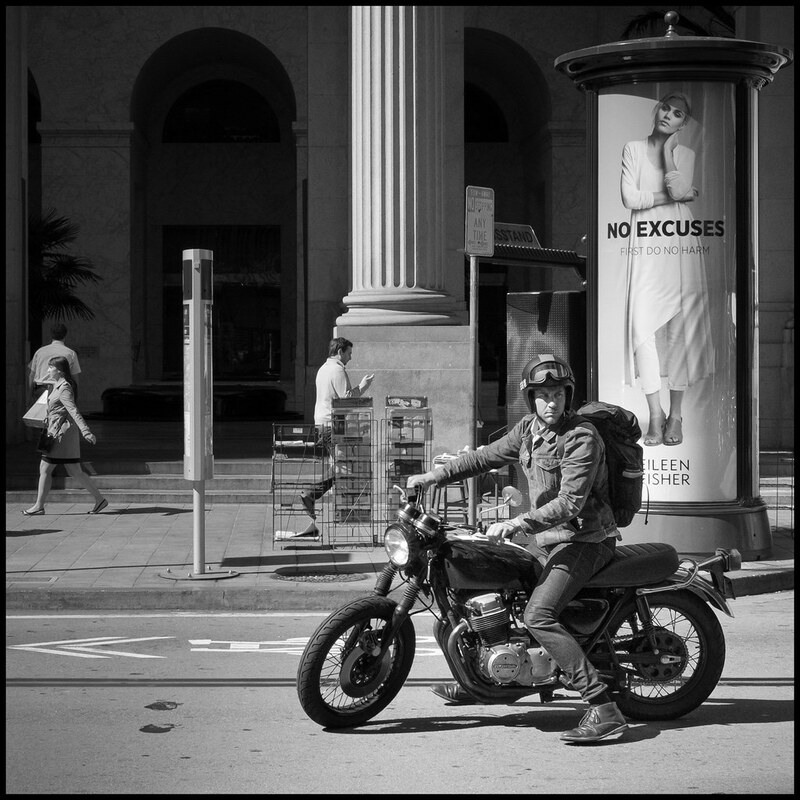 This stretch of Sansome just off Market Street is the province of motorcyclists – the parking is just for them. The architecture of the Citicorp Center provides an interesting stage – and there’s the Montgomery Street BART station entrance just off to the left. A locus for some fun street photography in San Francisco! On a bright March morning in 2015, this bike rider was eyeing for a spot.